Call 416-575-8210 for a free in-home estimate or click here to get a FREE quote online. House painting is not just a job, house painting is our passion. Since 2000, Euromaster Painting and Renovation Company has been providing professional, high-quality house painting and renovations services in Mississauga. 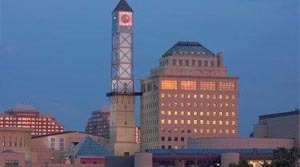 Mississauga has a diverse and multicultural community. Every ethnic community brings their own cultural views and design ideas. This makes our job very exciting and challenging. Our customers want to ensure that their home feels like back home - Euromaster makes this happen by respecting its customers request and providing an honest and reliable service. Euromaster Painting and Renovation Company provides general house painting service which includes walls painting, trims painting, moldings painting, ceilings painting, doors painting, cabinets painting and closets painting. Euromaster House Painting Company also provides stucco ceiling repair and spraying. Painting is the process and our job but our passion is to provide you a service that will make you love your house. We do this by providing you with expert advice on how to paint and remodel your house. Every house has the potential to look its best; all it needs is the right paint, a proper colour, and a knowledgable and experienced professional. Euromaster is not the cheapest home painting company but your house is not the cheapest either. We provide a quality service and work with your budget. Euromaster welcomes all its customers to review its work. Leave your mark with us.